To schedule an appointment please either telephone or e-mail us. Both of our office locations are open every weekday from 8:00 a.m. until 5:00 p.m. We also offer evening appointments on Mondays and Thursdays until 8:00 p.m. Experienced personal injury lawyers in Lititz, PA representing victims in Lancaster County. Experienced personal injury lawyers in Ephrata, PA representing victims in Lancaster County. Lancaster and South – Take Rt. 501 N to Lititz. Pass the square. 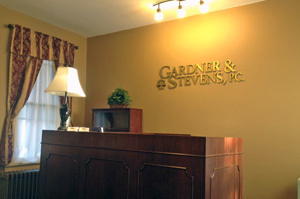 Our office is one-half block further on your left at 62 N. Broad St.
Berks County – Take Rt. 222 S and exit at Brownstown/Rt. 772. Go W on Rt. 772 to Lititz. Right turn at the square. Our office is one-half block later on your left at 62 N. Broad St.
Dauphin County – Take Rt. 283 E and exit at Lititz Pike/Rt. 501. Take Rt. 501 N. to Lititz. Pass the square. Our office is one-half block further on your left at 62 N. Broad St.
York County – Take Rt. 30 E and exit at Lititz Pike/Rt. 501. Take Rt. 501 N. to Lititz. Pass the square. 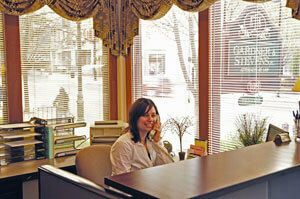 Our office is one-half block further on your left at 62 N. Broad St.
Lebanon County – Take Rt. 72 S, then Rt. 322 E. At Brickerville, right turn onto Rt. 501 S. Our office is on your right just after the light at Lincoln Avenue in Lititz at 62 N. Broad St.
Philadelphia and East – Take the Pennsylvania Turnpike W and exit at Reading/Denver/Rt. 272 (Exit # 286). After the tollbooth, left turn to take Rt. 222 S. Exit at Brownstown/Rt. 772. Go W on Rt. 772 to Lititz. Right turn at the square. Our office is one-half block later on your left at 62 N. Broad St.
Lancaster and South – Take Rt. 222 North and Exit at Ephrata. Take Rt. 322 W, and our office is approximately 1.5 miles on your right at 109 W. Main St.
Berks County – Take Rt. 222 South and Exit at Ephrata. Take Rt. 322 W, and our office is approximately 1.5 miles on your right at 109 W. Main St.
Dauphin County – Take Rt. 283 East to Rt. 30 East to Rt. 222 North and Exit at Ephrata. Take Rt. 322 W, and our office is approximately 1.5 miles on your right at 109 W. Main St.
York County – Take Rt. 30 East to Rt. 222 North and Exit at Ephrata. Take Rt. 322 W, and our office is approximately 1.5 miles on your right at 109 W. Main St.
Lebanon County – Take Rt. 72 South then Rt. 322 East into Ephrata. Our office is on your left at 109 W. Main St.
Philadelphia and East – Take the Pennsylvania Turnpike W and exit at Reading/Denver/Rt. 272 (Exit # 286). After the tollbooth, left turn to take Rt. 222 S. Exit at Ephrata. Take Rt. 322 W, and our office is approximately 1.5 miles on your right at 109 W. Main St.